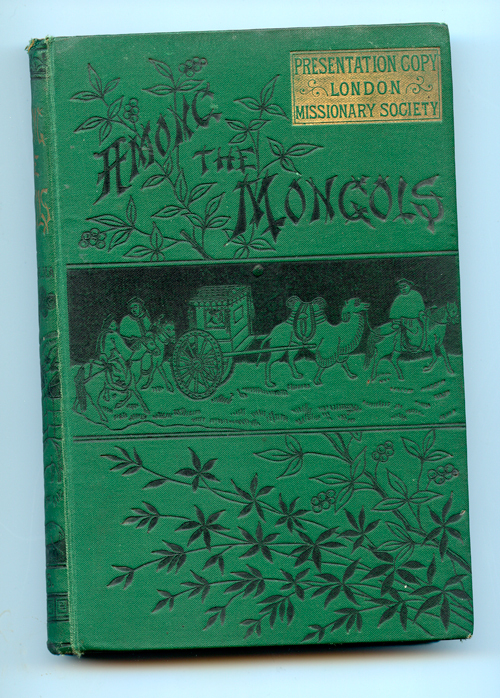 I have built up a decent collection of books about Mongolia from a number of sources and now have most of what is readily available, some of which have been reviewed in past posts here, here and here. This one was a major find, however. It fits into what is really a sub-genre of travel literature: books written by western missionaries who have gone to “exotic” faraway places to seek converts to Christianity, something I will say up front that I have no sympathy with whatsoever. Needless to say, Highly Recommended! More excerpts to come. You can purchase your own copy here and here. Don’t pay over $30 for a decent copy. There is the London edition, which is the one pictured above, a US edition (cited by Michael Kohn in Dateline:Mongolia as recommended reading) and a new paperback reprint.